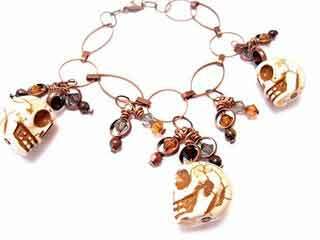 Howlite carved skull beads and swarovski crystals in a ghoulish display of All Hallows Eve colors. Strung simply on a copper, open link chain and turned into a bracelet that is sure to make heads turn. 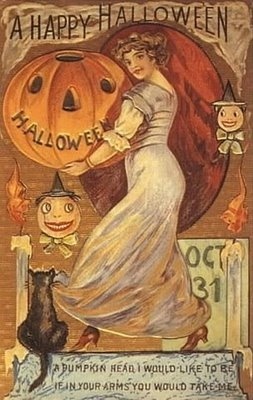 My love of vintage Halloween items and this photo shown here, inspired this bracelet.